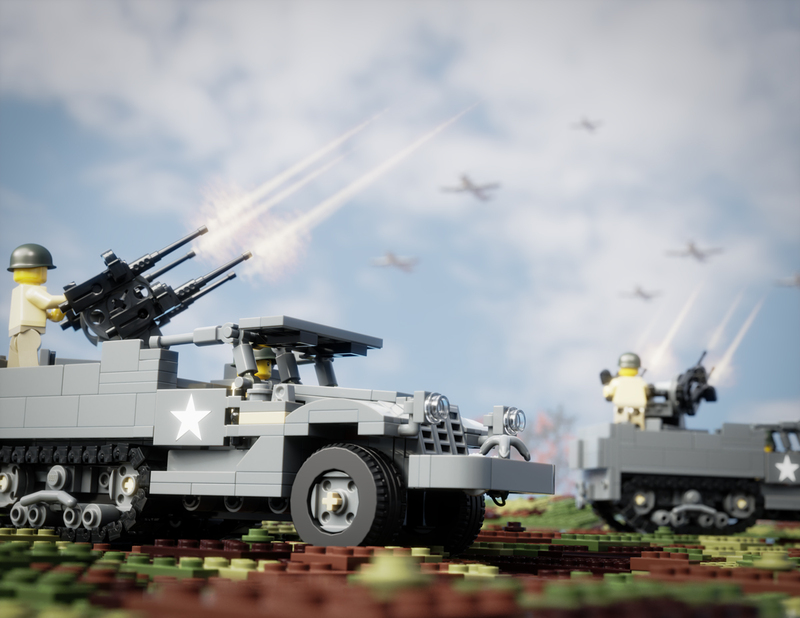 This add-on pack is designed to accompany the Brickmania M3A1 Half Track - Armored Personnel Carrier kit. An excellent example of mobile ground-based antiaircraft defense and infantry support, the M16 Multiple Gun Motor Carriage or “Meat Chopper” was deployed in both World War II and the Korean War. This fearsome weapon was highly effective against both enemy aircraft and ground troops. Equipped with four 0.5 inch Browning M2 machine guns in an M45 Quadmount, this vehicle served with the US Army until 1951.